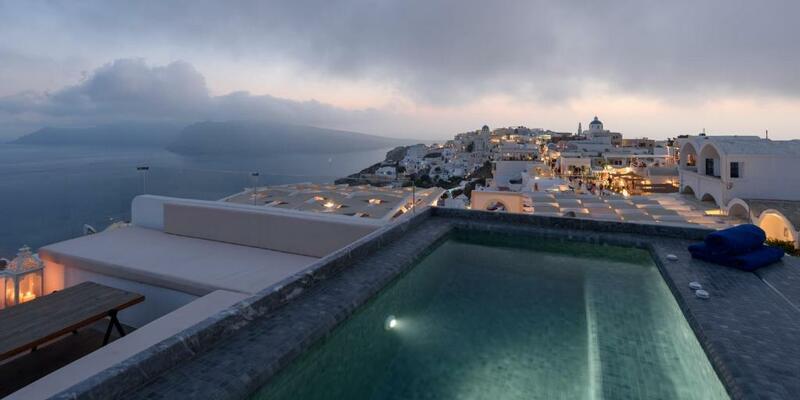 The great location and views in the best part of Santorini. Simos' gave us information on good restaurants and wineries to visit which were spot on. The amenities with the suite - the hot tub and the decks. The bathroom and especially shower were also quite good. 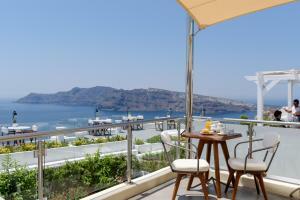 Location is smack right in the middle of Oia, near the restos and shops. Place was very clean and sea views from the room, the balcony and the terrace was stunning!!! Simos was very patient and helpful providing us very informative tips of Oia and Fira - places to go, good eats and boat tours to use. Simos, the suites manager was beyond helpful. He took his time to meet with me and gave me tips on everything on the island (restaurants, things to do, where things were located). His communication was always quick. He prepared my transfers to and from the airport and even arranged a boat tour for me the same day I arrived! This stay was PERFECT. Location and terrace view are good. Owner helped us in finding a photographer which turned out great. He was really helpful! Top-located and very clean apartment with a fantastic panoramic view from the rooftop. Simos recommendations made my stay there perfect. Simos was brilliant on arrival. Very informative and helpful! View is amazing! Very central in Oia. Close to the bus stop to go to Fira or the beaches. Nice view, tub in the roof and view for sunset ! Lovely balcony , great location. You would like to stay again. Brilliant location, great facilities. Simos, the manager was great! 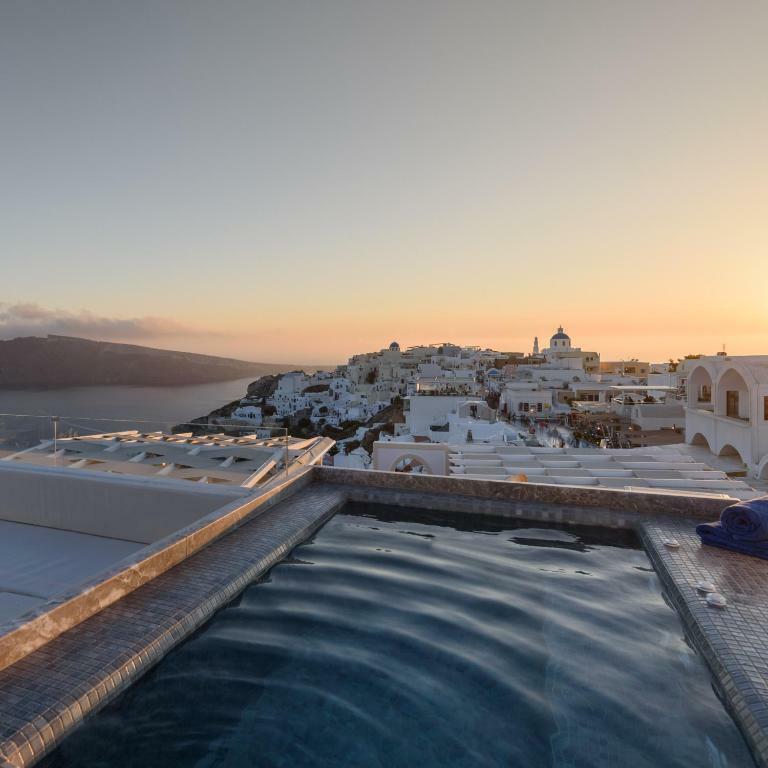 The location was amazing, right on the main walking street of Oia, with a beautiful sea views from the balcony and a little hot tub! Very good value for the location, and Simos the host was very helpful and responsive. 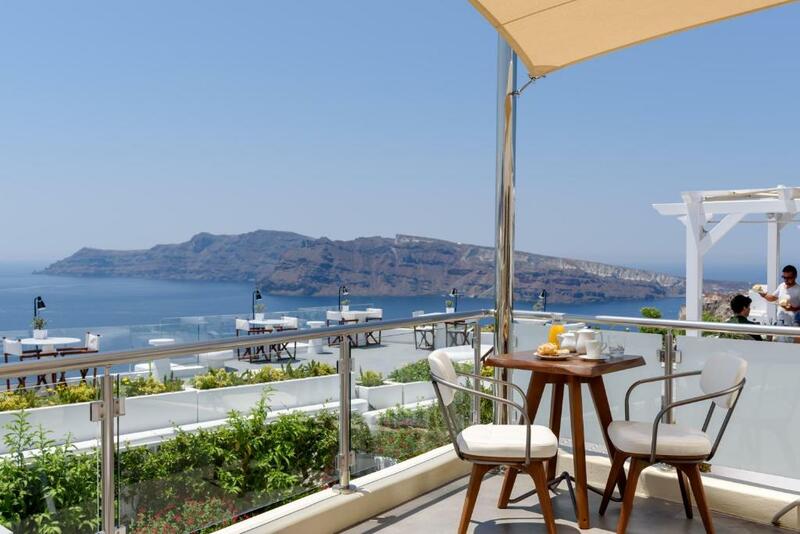 Lock in a great price for Enalion White Suites Oia – rated 9.4 by recent guests! One of our best sellers in Oia! 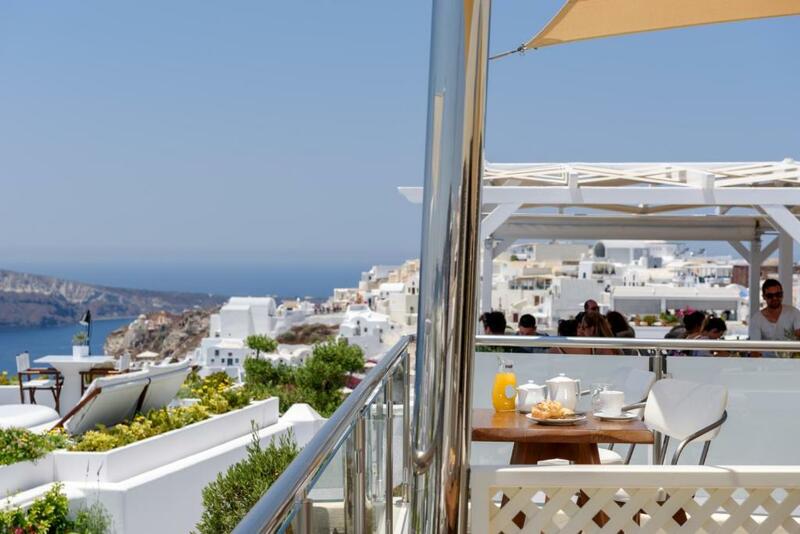 Featuring free WiFi throughout the property, Enalion White Suites Oia is located in Oía, 2.4 mi from Cape Columbo Beach. Naval Museum of Oia is 1,650 feet from the property. The accommodations is air conditioned and features a flat-screen smart TV with satellite channels. Αll units include a terrace and/or balcony with sea or city views. There is also a kitchenette, equipped with a mini-bar. 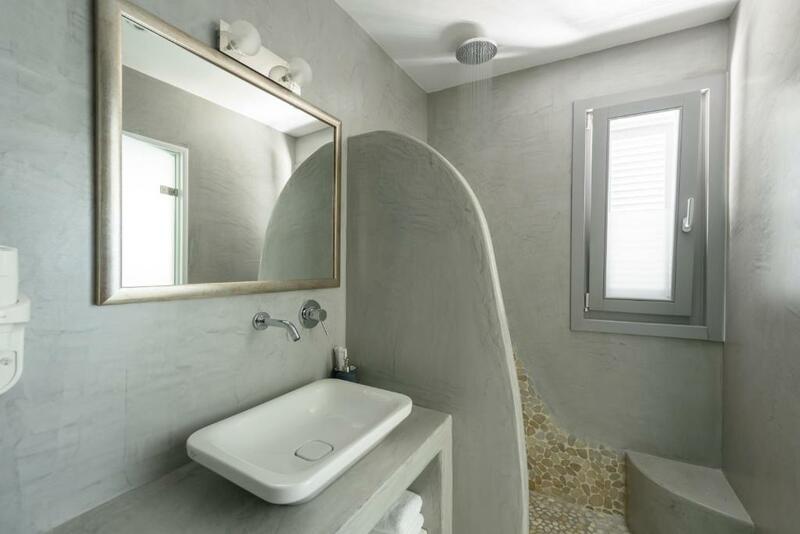 Every unit is equipped with a private bathroom with a bath or shower and slippers. Towels are available. 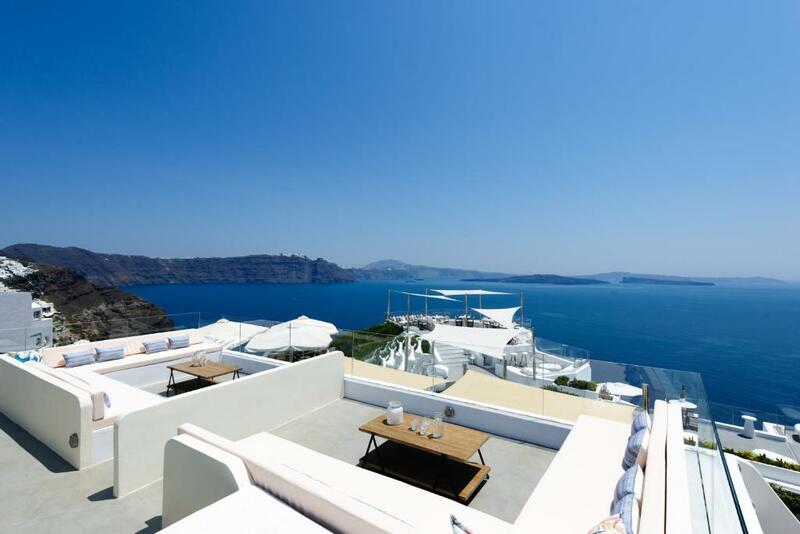 Each suite comes with an outdoor private jetted tub located on the balcony with a view to the Caldera. A welcome basket is offered to guests upon arrival, including biscuits, juice and fruits. Port of Koufonissia is 6.8 mi from Enalion White Suites Oia, while Saint Nicholas’ Church is 6.8 mi away. The nearest airport is Santorini (Thira) Airport, 6.8 mi from the property. 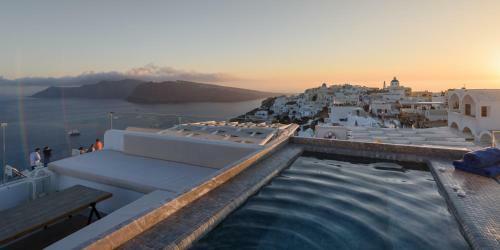 When would you like to stay at Enalion White Suites Oia? This apartment features a private entrance, balcony and patio. Each unit comes with an outdoor private jetted tub located on the balcony with a view to the Caldera. A welcome basket is offered to guests upon arrival, including biscuits, juice and fruits. House Rules Enalion White Suites Oia takes special requests – add in the next step! One child under 16 years is charged EUR 100 per night when using existing beds. Enalion White Suites Oia accepts these cards and reserves the right to temporarily hold an amount prior to arrival. Please note that the property does not feature a reception. Guests have to contact Enalion White Suites prior to their arrival in order for check in to be arranged. Please note that property accepts children over 6 years old. Please inform Enalion White Suites Oia of your expected arrival time in advance. You can use the Special Requests box when booking, or contact the property directly using the contact details in your confirmation. The property is advertised as having a Hot Tub - this is not correct. I actually wanted to stay at this particular place because of the hot tub for my disabled son. It was a very big disappointment that neighbors around me were enjoying their hot tub in joy. For the amount paid, I am very unhappy with this property. Also, during the night your sleep is constantly disturbed because the Solar Heating is directly above your bed. It shifts and you can hear the water heating up around, it turns on every 5 mins. It is like a little motor above your head! I had to buy ear plugs the next day because it was so loud. Another point to add is that the property is not as private as one would imagine - they are setting up a new hotel across the corridor so all day long as you are lounging in the day beds, a lot of workmen are walking past you. They are respectful and kind, but for this money it is not worth it. It is supposed to 5* and luxurious. Once i knew about the hot tub and the noises I actually wanted to leave straight away. I hardly ever write reviews because most of the time my choices are great and I have no problems. But this place deserves a review because of the price and the above mentioned issues which I honk others should be aware of. The location was good, it was clean and serviced daily. It was quite modern and had a little kitchenette. Super location and fabulous views from the hot tub. Beautiful room. Staff arranged nicely our transportation and helped with the luggage. A bit of vis a vis from the terrasse of the room. The room is very clean and beautiful. We really enjoy the hot bath in the roof. The apartment helps us book the transport and it’s convenient. The location was great. The room was beautiful. Spectacular views, great location. Staff were very helpful, organised transfers, boat trips...great place!! No breakfast served in bed. There's no reception-desk. You should contact Simos through phone or email to make an appointment in advance for the check in and out.